Although many factors influence a child’s risk of autism, a new study “like no other” indicates parental age as an influence on the child’s risk. Previous studies identified a greater risk when the father is of advanced age but this newest study indicates both parents’ ages play a role, and so does the age gap between parents. 5,766,794 children were born between 1985 and 2004. All were followed by the researchers until 2009. 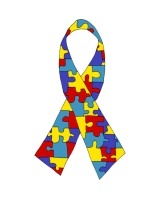 30,902 developed autism spectrum disorders (ASD). 66% higher when fathers are 50 and older than when fathers are in their 20s. 28% higher when dads are in their 40s instead of their 20s. 15% higher when mom is 40-something versus moms who are 20-something. 18% higher when the mother is a teenager than in her 20s. The ASD risk is higher still when both parents are older. Highest when fathers are 35 to 40 years old and mothers are 10 years or more younger. High when mothers are in their 30s and fathers are 10 or more years younger. Previous research indicates genetic mutations are responsible for increased risk to children fathered by older men but this study suggests “multiple mechanisms are contributing to the association between parental age and ASD risk,” according to its authors. Abraham Reichenberg said this study shows “for the first time that autism risk is associated with disparately aged parents. Future research should look into this to understand the mechanism.” Reichenberg, a member of the study team, is a neuropsychologist and epidemiologist at the Mount Sinai Icahn School of Medicine in New York City and is affiliated with the Department of Psychosis Studies at Kings College London in the United Kingdom. Michael Rosanoff, also an author of the research findings, describes the study as “like no other” due to its size, which “allowed us to look at the relationship between parents’ age and autism at a much higher resolution — under a microscope, if you will.” Rosanoff is a faculty member at the Department of Epidemiology at Columbia University’s Mailman School of Public Health in New York City and is Director of Public Health Research for Autism Speaks, an organization based in New York City that is widely recognized as the world leader in advocacy and scientific research on ASD. Sandin, S, et al. "Autism risk associated with parental age and with increasing difference in age between the parents." Molecular Psychiatry (2015). Nature Publishing Group. Web. 17 June 2015. "Largest-ever study of parental age and autism finds increased risk with teen moms." EurekAlert! Autism Speaks and the American Association for the Advancement of Science, 9 June 2015. Web. 17 June 2015.